The more precise the action, the more precise the gear needs to be to accomodate. If you’re smashing rocks with a sledgehammer, it needs to be heavy and solid. That’s about it. If you’re zooming around the track at over 100mph, however, precise is the name of the game. When it comes to racing suits, the right fit and features make all the difference. With the REV’IT! 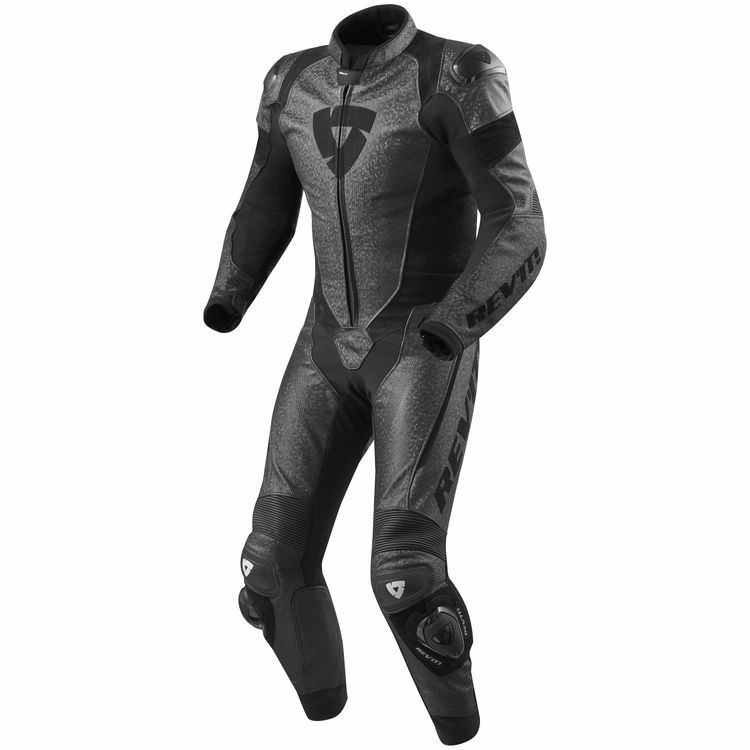 Pulsar Race Suit riders get one of the most aesthetically differentiated suits on the market. Like a cobra poised for the venomous strike, the Pulsar’s outer shell features traditional cowhide with debossed nubuck that makes for a serpent-like appearance. But the goods aren’t all about style. 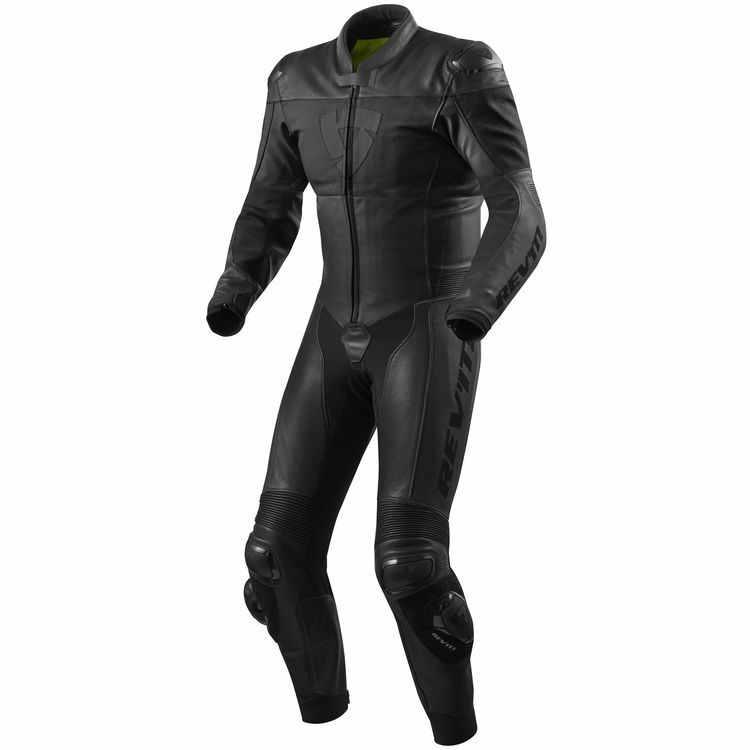 Additionally (and more importantly), the Pulsar is a suit built for action. Some of the features include PWR|Kevlar stretch material, Betac CE protection at the shoulders, Seesmart CE Level 1 Type B hip protectors, and comfort cuffs, stretch lips / panels and aero cool 3D mesh. Stepping up (slightly), riders can look to the REV’IT! Nova Race Suit. Constructed from Monaco Performance cowhide and PWR|Kevlar stretch, the Nova is both highly durable, and extremely comfortable. Also featuring Betac CE protection at the shoulders and Seesmart CE Level 1 Type B hip protectors, the Nova is also well-equipped to provide advanced defenses in the event of a crash. Additional features include a fully perforated outer shell, pocket for optional VCS | speed hump hydration bladder, and a removable lining. Going fast, and doing so with style and precision is the name of the game for track day enthusiasts and championship motorcycle circuit riders alike. For the Spring of 2018, REV’IT! Has brought two top-tier suits to the table that will continue to perform for years to come.